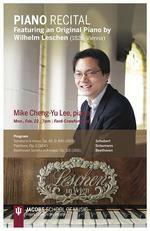 "★★★★★ Mike Lee's superlative recital brought out things in Mozart sometimes suspected but rarely heard." "As keyboard performer, Lee really is a major talent, no doubt about it; I expect press notices to start coming before long in praise of his musicianship." "With Mike Lee's essay in this volume, we witness an enactment of the kind of performance-analysis relationship to which I hope we now all aspire..."
"Try as one might, it was hard to avoid cliché responses like ‘stunning’, even ‘electrifying’. I don’t think I have heard a Mozart recital quite like this. 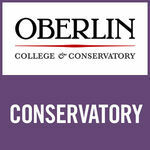 I heard things in Mozart’s music I had never thought possible and certainly had never encountered before." "Under Mike Lee's hands, the Rondo in D Major for piano emerged with martial zest and eloquence, the light, tinkling sound of the fortepiano a total delight." "He played the instrument gloriously...Lee’s Mozart was absolutely radiant, a lesson in refinement mixed with deep devotion." "Lee captured the hearts of the audience with the Partita, in which his deliberate style portrayed the integrity, purity, complexity, and truth in Bach's music...with balance and control that were breathtaking..."
Mike Lee will be joining the faculty of the ANU School of Music starting July 2017 where he will be Director of the ANU Keyboard Institute–the largest historical piano collection in the southern hemisphere. 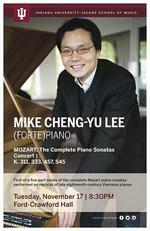 Mike Lee to perform the complete cycle of Mozart's piano sonatas in a six-concert series. Joined by R.J. Kelley (the Juilliard School) on the natural horn and Lucy Russell (the Royal College of Music) on the violin, Mike Lee will perform Brahms's Horn Trio on an 1868 Érard. 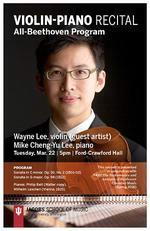 From June 22-28 Mike Lee will perform, teach, and lecture at the Chopin Institute and Symposium, Rivers School Conservatory. 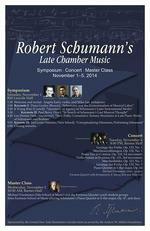 Mike Lee performs Schumann Piano Quintet with the Formosa Quartet (winner of the London International String Quartet Competition) on early instruments; Barnes Hall, Cornell University.